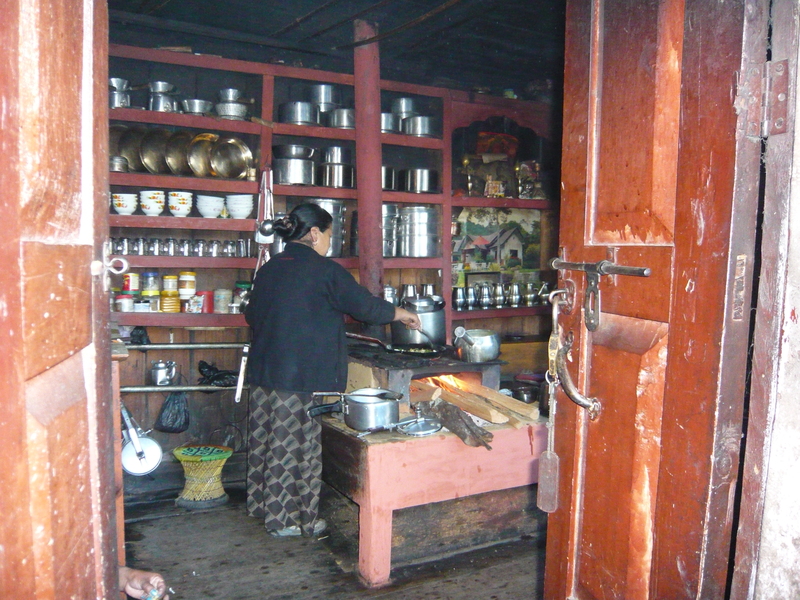 Photo taken at small village along the Annapurna Trek in November 2010. After not having a great track record in terms of getting some awful stomach ailment during traveling, I was a bit concerned and skeptical about the food in remote, rural Nepal. I had a month long parasite after Costa Rica and didn’t want to take any chances on my next international trip. Yet for the entire two weeks that I was in rural Nepal, trekking village to village, I not once got sick and actually enjoyed the food substantially. I don’t eat red meat which was fine with me as there were plenty of other vegetarian options to eat which were all cooked freshly and made to order in each teahouse along the trail.